Jim Yelton, Squamish Nation. Jim was born in Squamish, British Columbia in 1955 and has been carving his entire life. 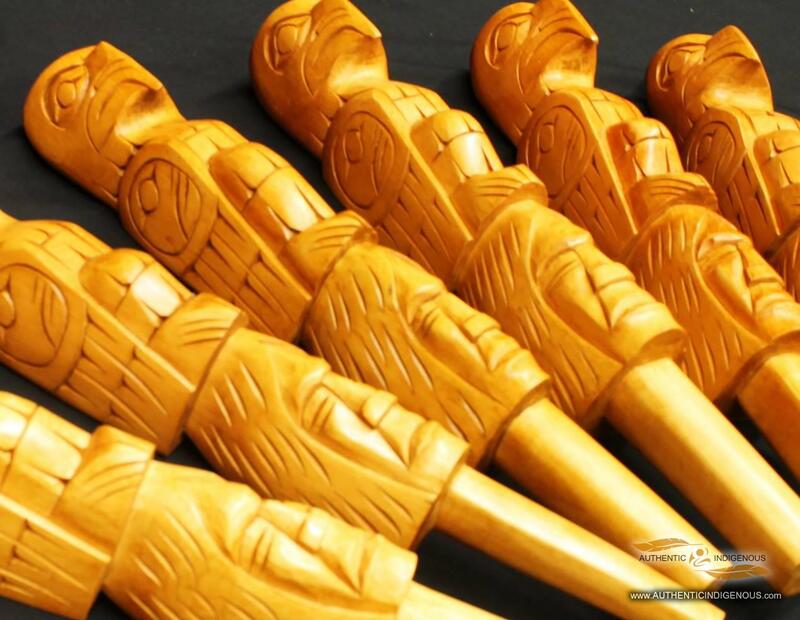 The skill of carving was pasted down to Jim from his father, Michael Yelton who taught him about the Northwest Coast First Nations traditions of his cultural and how they applied to his art form. For over 30 years, Jim has been carving cedar wood and specializes in Masks, Feast Dishes, Canoe Paddles and most of all, Talking Sticks. Jim’s influences are the traditions of his people and the natural environment surrounding him. He incorporates indigenous animals in his work which have specific meanings and symbolisms within the Squamish Nation culture. His work can be found in galleries and private collections worldwide. Jim currently resides in Sechelt, British Columbia.